Micah68 need monies to enable Ian to be released from his full time employment for one month a year. This has been agreed with them as his employers, and Micah68 work will act as a secondment. 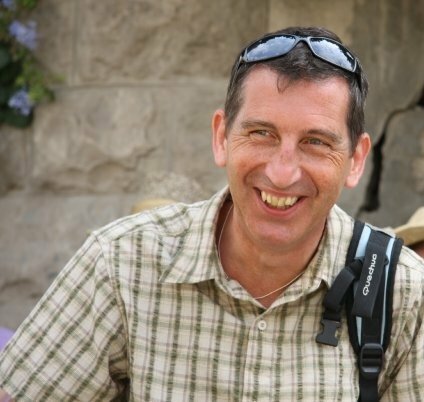 It is envisaged that Ian will take three 8-10 day trips a year to meet the Micah Projects partners, hand over monies, and check on project development alongside his wider personal mission and ministry amongst Christian, Muslim and Jewish friends in the region. These costs of these trips also need to be covered. Finally there are also the organisational set-up, legal fees, publicity and website development, and office administration costs (postage, printing etc). Please give. We need to raise £7,500.00 per annum to support this aspect of Ian’s mission and ministry. This money is needed to fully resource the Micah68 organisation. Will you help raise this financial target? You could do this through a one-off personal donation, or maybe a group or church gift. You could raise this through a creative fundraising activity. If you can’t think of one, then download ‘Fundraising ideas’ to get your creative juices going! A regular standing order would really help establish Ian’s ministry in the region. One off donations are of course welcome, but regular giving helps Micah68 to plan ahead. Could you be a regular giver? If so, please download, complete and send off the standing order form. If you have a heart for the work of Micah68 – and are able to set-up a standing order for over £100.00 pa, then you will receive on request a specially designed olive wood Micah Heart, made by some of the craftsmen from the Bethlehem Fair Trade Artisans project, Palestine. Bank details for direct transfer of gifts (please notify Ian with your name and contact details if you do this, so he can acknowledge the gift). Please note that this is currently a personal account during the initial set-up period, after which a full Co-operative Bank charitable business account can be opened and all monies transferred. This account is to be audited by a local treasurer who is a Trustee of Micah68.